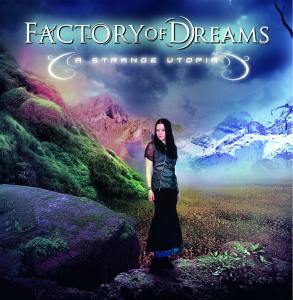 Factory of Dreams is a new Hugo Flores project with Finnish singer, Jessica Lehto. Fans of progressive, and very dramatic metal with soprano female vocals, like Within Temptation, The Gathering, and Nightwish, will probably like to check this out. The music is pretty damn intense with a lot of layers of sound and special effects that make the compositions really stand out as different. The Weight of the World is a good example of this. Hugo is a very good multi-instrumentalist, playing guitar, violin, drums, bass and keyboards. There are a lot of great songs but many also come across as a lot of separate parts and ideas pasted together and it is sometimes not all that organic and too synthetic and computer oriented somehow. A lot of cool stuff to dig into though.